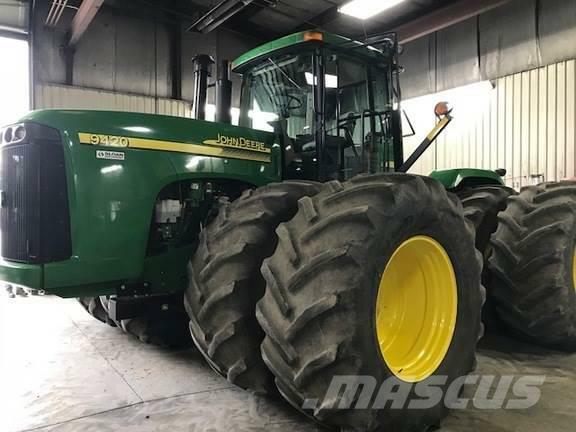 Más información 2004 JD 9420, 3379HRS, P/S TRANSMISSION, 4 SCV'S, DELUXE CAB, 800/70R38 TIRES ALL 60%, FRONTS HAVE SOME STUBBLE DAMAGE, WILL HAVE TWO NEW INNER TIRES. Call, email, or visit sloans.com for the current location of this item. Other websites show the location as Assumption, IL or Monroe, WI, while it may be at any of Sloan’s 20 stores.